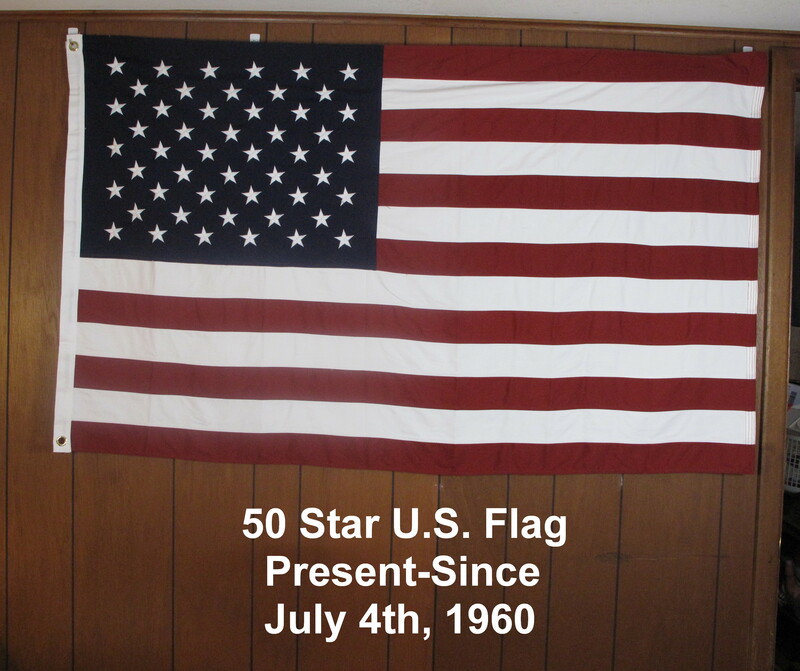 In use since July 4th, 1960. Nine presidents have served under this flag. Alternating rows of 5 stars & 4 stars. Beautiful flag. 3'X5' cotton, cut & sewn. Satifaction guaranteed. 100 % refundable for 10 days upon receipt.